Nothing special this week. If you knew me at the time I did Green's Tiny Collection, then you've no doubt seen this game. I thought I'd post it, though, to remind myself of what a great idea it once was. Keep control of both Platdude and his football. You use the spacebar to jump. 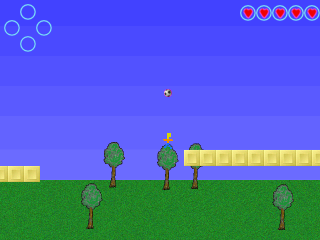 Jump and header the football to send it flying over obstacles. If you pick up any items, you can use them by hitting the cursor key in the direction of the item. That is, the powerup display shows 4 items, 1 up, 1 right, 1 left and 1 down. As you pick up items, they rotate within the display, until 4 pickups later, the oldest is disposed of whether it's been used or not. The gameplay exists on a single 2D Plane. There's plenty of Parallax scrolling going on, and the levels run on into each other meaning the whole game keeps on moving whether you're in the main menu or halfway through level 8! Not that there's 8 levels, of course! It never quite got that far.. The game's main issue is it's collision detection and physics. At the time I was still learning all about the strengths and weaknesses of Blitz coding. I'm sure that nowadays, given my better knowledge of Blitz, I could come up with a much better engine. In fact, I might even give that a go. But not right now... Lots of other stuff to be working with at the minute! This week, an In-Progress experiment. Use the flash thing on the top right of the site. 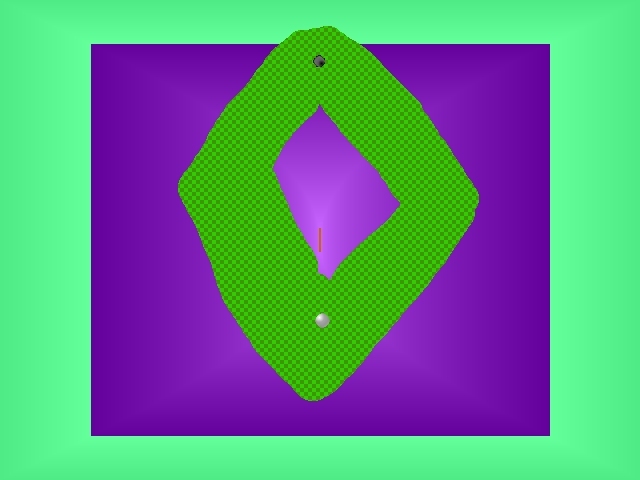 Doodle yourself a little image, then click "New" which will not only start you off again, but also save the icon to a file on my site. In the next few days I'll be collecting all the icons (and moderating them!) and then placing them into future games. They'll be used in plenty of ways, from Picross puzzles, to odd little incidental imagery. Hopefully I'll be able to collect a fair few of them, and I'm looking forward to seeing what images you can come up with. Week 22 of the Wednesday Workshop was Racing week. The first game I attempted was a UFO Fly game, the game you see entered.. But after I'd done that, I attempted a couple more engines. #1 was a mess, and never really got anywhere. It was a nice graphical effect, but nothing more than that. #2 however, was a Ball Bouncing AI Racing grand prix game! Here it is, as it sits on my hard drive. Unlike last week I haven't bothered to neaten it up at all, and this is pretty much how I left it... And it's really unfinished, so there's no end to it.. Just keep floating away! 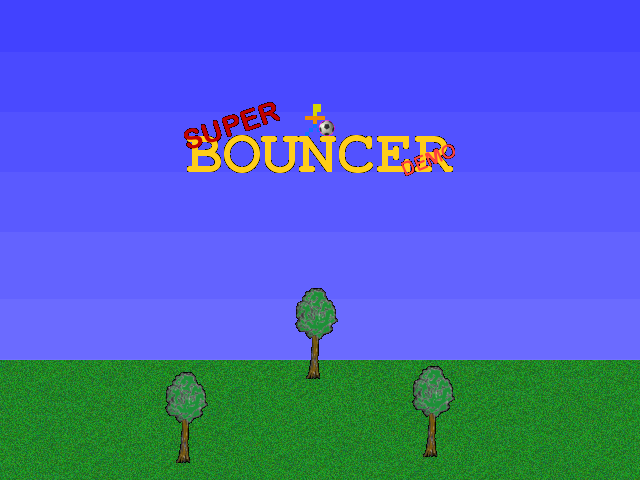 Use the cursor keys to bound your way through the level. Start by pushing up, then right. But, obviously, don't get stuck in the roof! Would it be worth finishing this one off? Match the numbers on the left with those on the right, then click the number on the right! "Create a Horizontal Shooter".. That was the compo rules for The Horizontal Shooter compo, over at SHMUP-Dev.. Or at least I think it was there. I started this entry in January 2006. I know this because the game has a directory numbered 031..Since starting Wed.Workshop I've been numbering all my dev-dirs according to the number of that week's workshop! Why I never finished it, I don't know. Maybe I grew bored of it. Or maybe I realised it really wasn't that much of a challenge. Whatever the case, tonight I decided to spruce it up a little.. So I added in a few sound effects, tweaked the settings a bit, and then added in a tune I found in my huge Chiptune directory. Mouse controlled, shoot the right, guard the left. Catch bullets in your trail! 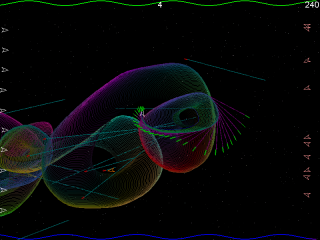 Oh, and watch you don't fall off the edges since there's no edge detection! Nice and slow! For those interested, the chiptune is "chromag-shock_therapy23.xm"
When I created JNKPlat 3D (about 3/4 way down here) I intended to have an end-credits sequence. So I composed this nice theme for that purpose. Unfortunately I have an odd knack of never finishing off games, so an end credit sequence never appeared in the game. For the new JNKPlat I grabbed this theme and turned it into a smaller Mod, but some people like it, so here's the original version in it's MP3 format. Guide Platdude through the many varied levels. Sometimes you forget about games! I worked on this game for a while, back in early 2003. 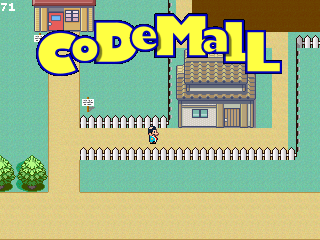 The idea was to nick the whole Pokemon idea, and create a bizarre Coding based adventure game. So, I nicked the graphics, too! I also added a bunch of music that I'd grabbed from Aminet, and designed a nice Logo. I got the map pretty much working as expected, and even got it so that text would appear in a little box. It kinda looks like my recent workshop "Quest" games, really. But, as with all my games, it got placed to the side and forgotten about. Maybe it's something I'll ressurect in the future. I don't know. I think if I ever do come back to it, I'll be better off starting from scratch. 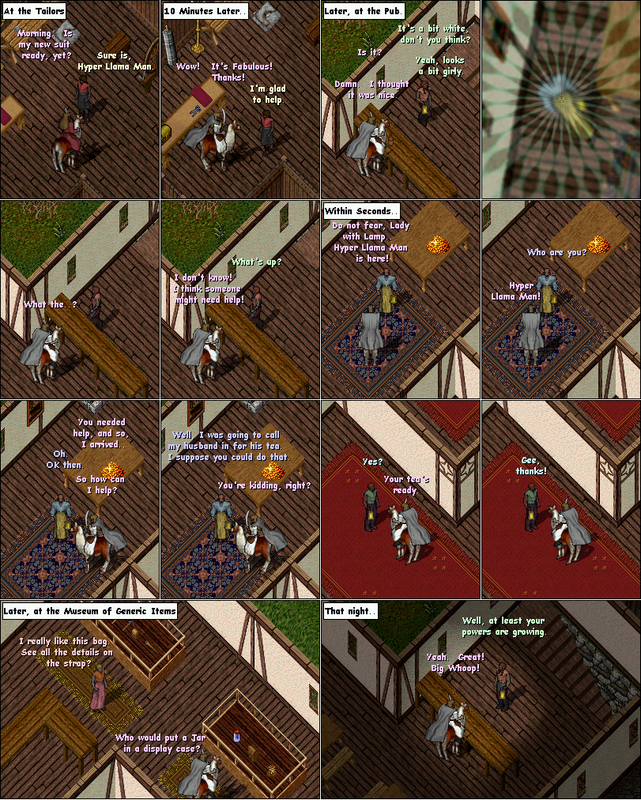 While I was playing Ultima Online a lot, I decided to do a silly Ultima based comic. It seemed like a good idea at the time, but it took ages to cut out and manage each of the panels of a comic, in order to make the pages look good. As I always say, "A simple idea can always be made easier if you use Blitz to do all the boring work for you." It's a long saying, but it fits. 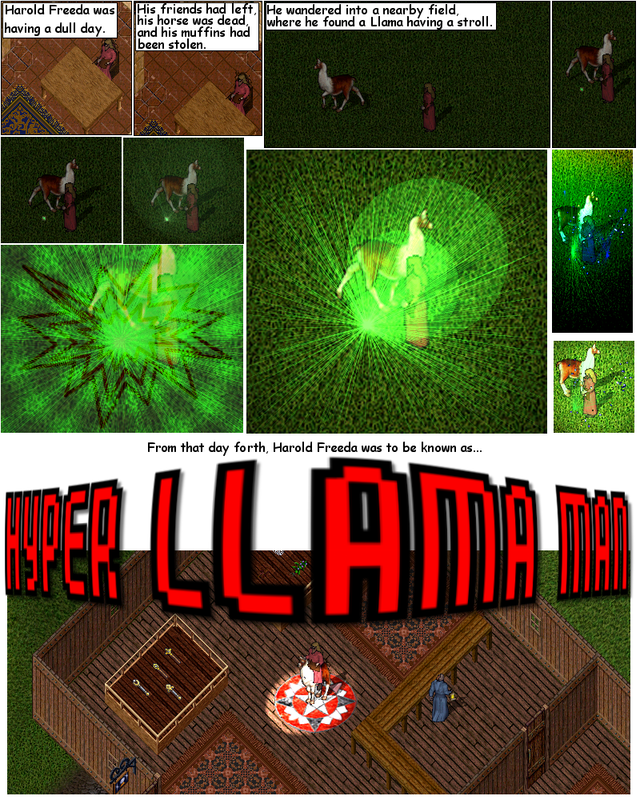 Hyper Llama Man lasted for 6 pages.. Not a long time, but at least I managed to pull myself away from Ultima! 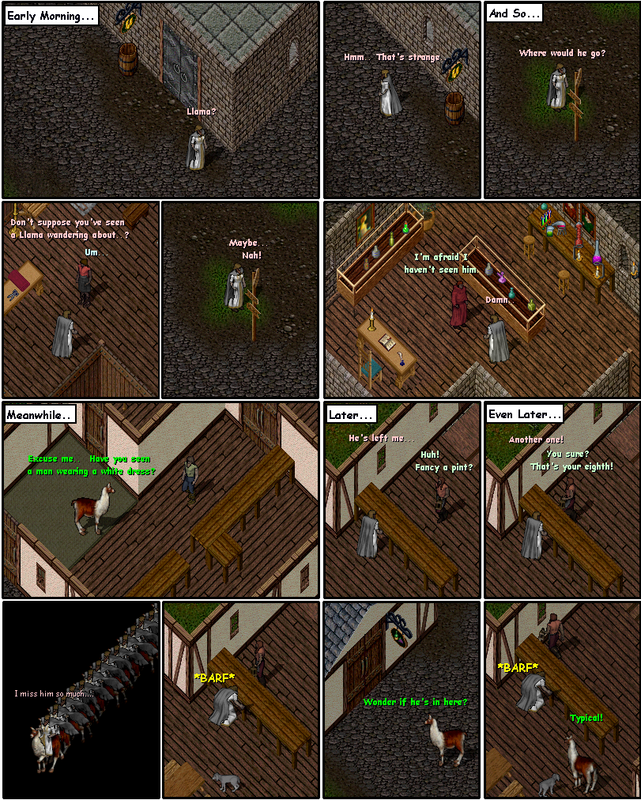 The first page of the comic was done entirely in PaintShop Pro. It's kind of ugly. The next one was done using a quickly made comic strip editor. That was Strips. It worked, but it was specifically designed to create boxy plain-text Hyper Llama Man pages. Pages 3,4,5 and 6 were all done using Strips 2. Strips 2 was a much more advanced editor, allowing for sliced panels, bubble speech and a variety of fonts. It's more or less in a fully working state, but if you do decide to use it, keep saving often, because it'll probably crash, or do something stupid! You can download Strips 2 here. Theory. I can make 3 versions of Platdude in 3D. All three will be inside a box area. Version 1 will be a maze-like affair, with a multi layered floor, and 4 walls. Version 2 will be up against one of the walls and will play in a classic platform style. 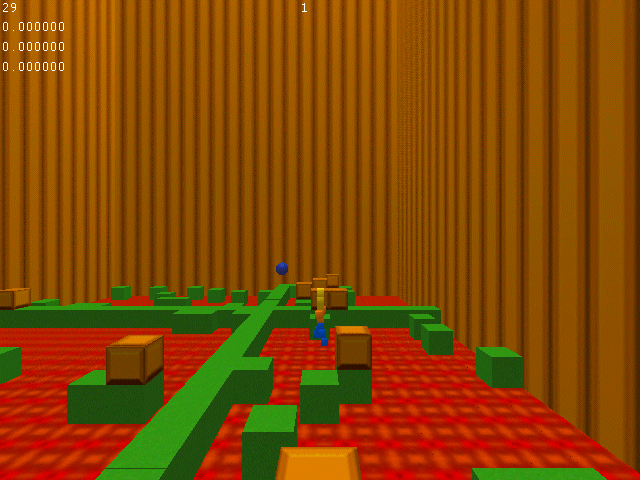 Version 3 will take the whole box area and fill it with Super Amazing Platforming Fun! .. These were my thoughts when first trying out Blitz3D, 5 years ago. I soon changed my plan and went back to making 2D games! Still, the "Up against a Wall" idea kind of made it to the slightly dodgy JNKPlat 3D idea, so at least something came out of it. When I started doing Wed.Workshop, a few people complained that a week was too short a time, so in September 2005 I did the first and only Monthly Workshop. The Super September Challenge asked people to recreate a classic 8-bit game in a 16-bit style, and add some silly extras that people kept adding to games around that time. My entry was to be Super Dig Dug. It started off well enough, but then the sound started going all screwy, and I couldn't be bothered fixing it. So it was left to rot on my Hard Drive. 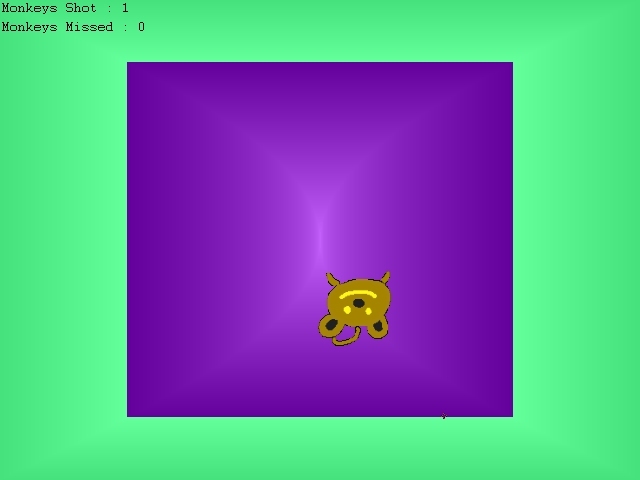 The game's basic bits kinda work. Guide the bubble-shielded guy around with the cursors. Hold space to shoot his air-thing. Baddies inflate. Baddies explode. Rocks fall. Music plays whilst walking.. And all the rest of the expected goodies. The gameplay isn't all there, though. The baddies won't become ghosts, and run for the hills... and the water that slowly fills the screen doesn't actually DO anything! But it's a start. And maybe someday it'll be finished! I've started to go through all my stuff, and I decided that, rather than just list everything, I'd try to create some kind of descriptive history of all my games, be they completed fun stuffs, or just failed experiments.? You might even start to see some new stuff appear here that you've never seen before!? ? In the meantime I've built up the JNKPlat section, as well as the More Games page. Over the year, I've started a whole big bunch of games. Occasionally I finish a few! Here's some of the ones that involve Monkeys! Worryingly, it proved to be quite popular, and given the popularity of Super Monkey Balls at the time, I figured I'd go for broke. 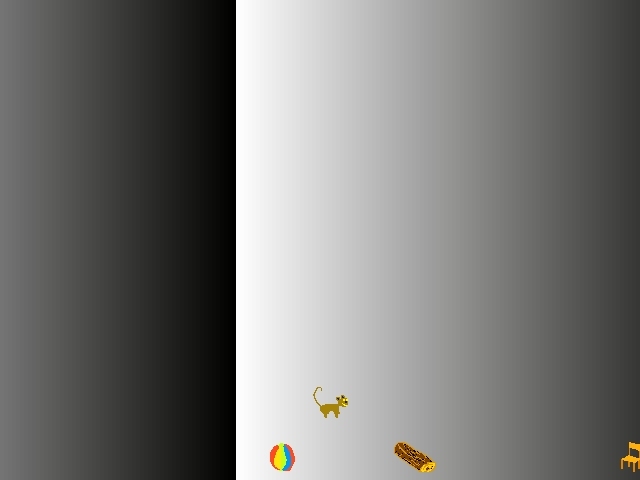 Space Monkeys 2 had the same style, and even the exact same background effect as the original, but this time you had a monkey in a ball, and rolled him around a maze. But... You know.. Looking a bit cheap! By the time I got up to Space Monkeys 3 I was already starting to run out of ideas, so this one involved some rocks, and fuel or something. To be honest, I tend to ignore this one! But then I hit gold with Space Monkeys DX! 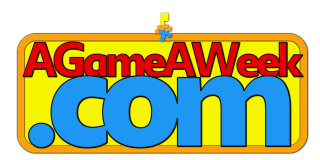 Featuring a big Sonic Special Stage esque rotating maze, and a couple of other games, too. (Gotta hate the Rock-Jumping!) What started life as Space Monkeys 4 ended up being a nice collection of silly games. And then a return to where it all began, as BlitzCoder held a one button compo, and I decided to bring back the monkeys with a second collection of games. But this time, the games formed an evolving storyline, in which you had to save the Space Monkeys from a gang of intergalactic evil chickens! I've yet to create a new Space Monkeys game, but in the meantime I did make a nice little platformer that wound up being tied to the whole Space Monkey universe. To tell the truth, this game actually started life as an experimental new Platdude engine. 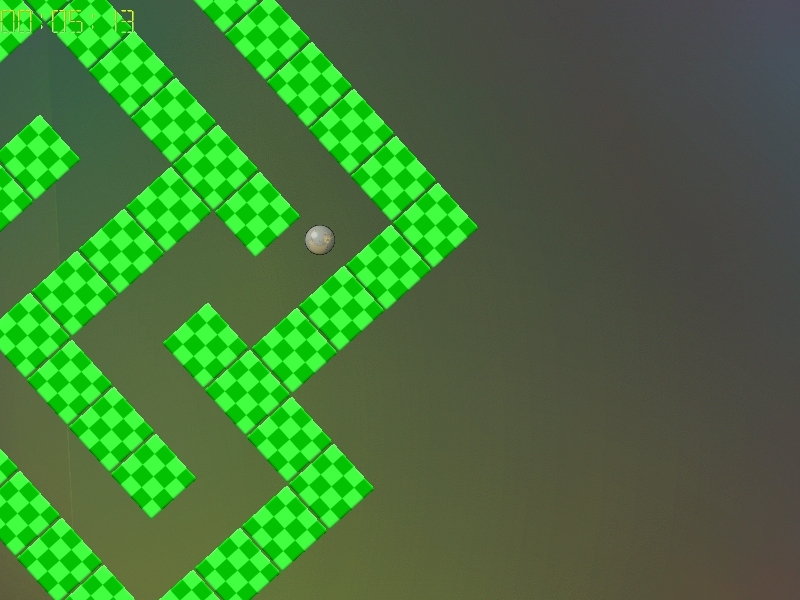 The plan was, build a nice collision system, then add the graphics around it. 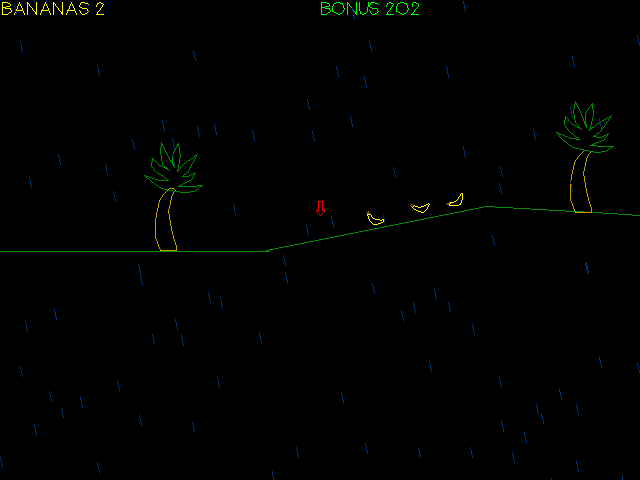 The collision system worked really well, and the simple line-drawn landscape looked really neat, so I left it as it was! I took out Platdude, and replaced him with an arrow, which is slightly off center, and points to where your character is. An added monkey sound effect later, and Invisible Munky was born. AFAIK it's the only platform game without a main character. And it's great! I can't remember what made me create Munky Train. Maybe it was one of those sparks of insanity, I'm not sure, but I drew a silly train and some tracks, and then plonked on a bunch of words to be typed, and the Munky Typing series was born. Shortly after I created Munky Rocket with a bunch of asteroids, and even later I made Heavy Metal Munky for one of the Wednesday Workshops. Download : Munky Train, Munky Rocket, Heavy Metal Munky, and have fun typing! I get bored. I get bored a lot. Especially when working on large projects. It's nice to occasionally have some weird random thing to do. That's why I set up the Wednesday Workshop. A weekly challenge. Make a game based upon a given theme, or task. Everyone who enters gets put through for a vote. But it's not really about the winning. It's about having something to do when you're bored. And .. I get bored a lot! Click here and you'll see a nice big long list of the 60+ entries I've created for the workshop. They range from silly little 10 minute play things, through to mini RPGs, and everything inbetween. For interest's sake, here's my favourite collection of workshop entries, and reasons why I like them. 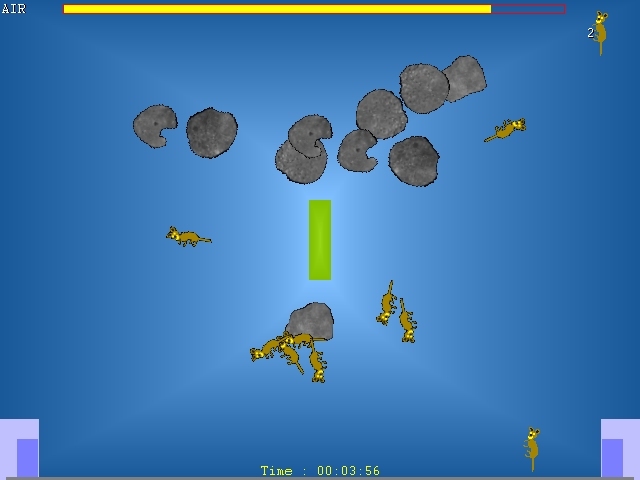 A simple shoot 'em up. It actually gets really good if you play through the whole game, with different sections opening up as you go. But I don't think anyone ever actually bothered doing that. Could be a much bigger game if I ever bothered to build it up. A nice little Juggler type game, where you keep the plane afloat by hitting it with blasts from fireworks. I love the look of this game, especially all the little background fireworks. OK, so it might not be the best game in the world, but I like it! A parody of the classic BBC Micro "Educational Title" Pod. 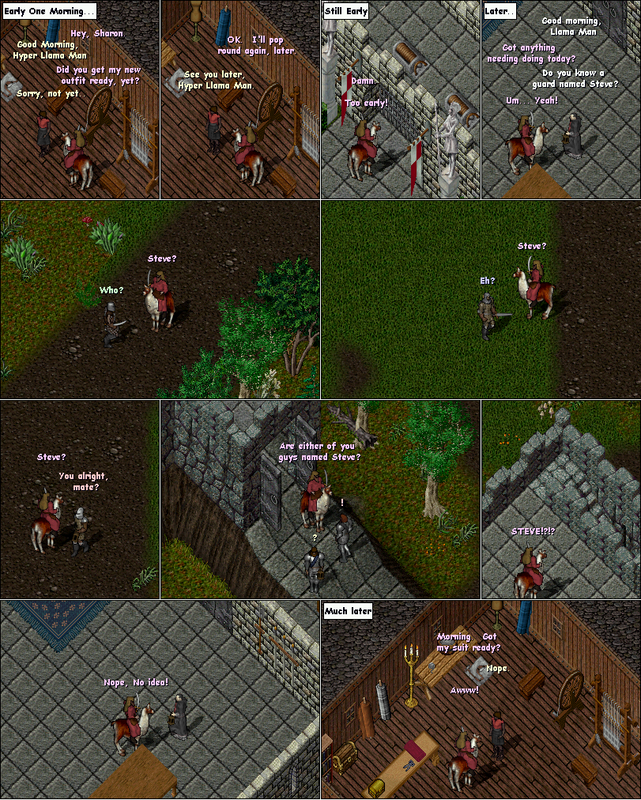 It was a very silly game then, and it's even more silly now! Features an incredibly chunky retro Space Monkey! And if Munky Do was silly, then this is downright ludicrous. Stickman needs to take his Library books back, so guide him to the nearby library. Watch out for the local Bully! This game could quite easily be a whole lot bigger. A nice, simple puzzle game involving light and holes! I really should get round to making the sequel to this game! A collection of games, for workshop 19, which asked us to create a game per day for 7 days. The games included here are. 2) A silly Animal Crossing clone. Quite possibly one of the nicest looking games I've ever created, with parallax stars, spinning pickups and a nice little witch and cat on a broomstick that looks quite a lot like Meg+Mog! A silly little quest game, featuring greenie, some squishy things and a Duck/Dragon type thing. In many ways, this was a precursor to the "Quest" games that I created later on. How much gameplay can you fit into a minute? Well, depending on how fast your system's running, I crammed about 10 minigames into this game, all of which blend into each other quite nicely. It gets repetitive quite quickly, but this is a nice little board game you can play with up to 4 people. Pick up mushrooms, throw fireballs, it's all in here! A remake of Pipeline from the BBC Micro, but with a 2 player mode flung in. I REALLY like this game, but the Superior Software guys said I couldn't make any more of it. This really should go with the Munky Typing games, but then, there's no munkys! Look forward to typing along to version of Pacman, Frogger and more. A cracking platform game, featuring Mario et all. Jump on Goombas, grab the stars, find the pipe, rinse, repeat. When CodersWorkshop vanished into thin air, we were set a "What happened to it?" challenge. My theory, a giant Duck/Dragon creature stole all it's parts. A multicoloured version of Picross. If you finish off the included levels, you can use the editor to create your own. In this sequel to The CW Quest, we find Platdude desperately trying to sort out the chaos that was created at the end of the last game. 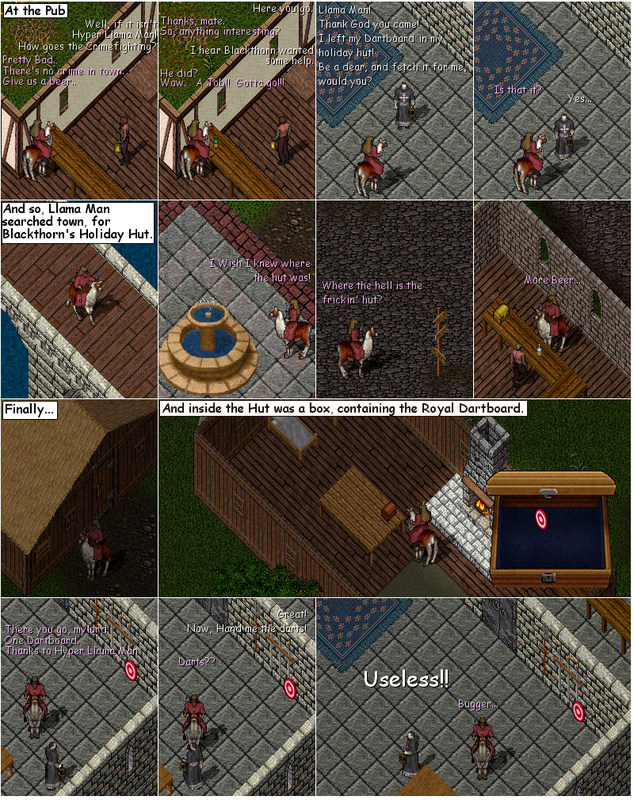 Can you make the townsfolk happy again? A remake of the classic game Monsters (or "Roland Goes Digging" if you're a CPC fan!) but with the player upside down! Strange! But enjoyable.. And kinda tricky, too! A Slot machine, but with JNKPlat gameplay implimented right into the slot mechanism. This game proved to be so popular that I'm redoing it on the DS. OK, lets see how well we go with this. Taking a slight page from Prospero, I decided to setup a Wordpress page. I'm (hopefully!) going to be using this site to keep track of all my old Games and Musical pieces, so they'll all be easily accessible. It'll probably not work, but it's at least worth a try, right? Platdude. A 16 pixel, 3 color character. Deftly defying the world of 3D models and amazing realism, in favour of good old fashioned gameplay. What do you do once a workshop's on fire? Site credits : If you can see it, Jayenkai did it.